In ancient times, the gods of Asgard fought and won a war against an evil race known as the Dark Elves. The survivors were neutralized, and their ultimate weapon—the Aether—was buried in a secret location. 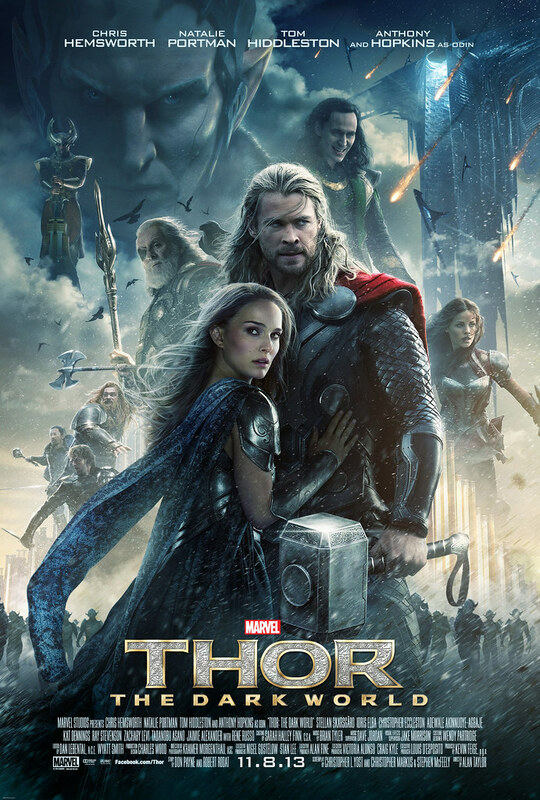 Hundreds of years later, Jane Foster (Natalie Portman) finds the Aether and becomes its host, forcing Thor (Chris Hemsworth) to bring her to Asgard before Dark Elf Malekith (Christopher Eccleston) captures her and uses the weapon to destroy the Nine Realms—including Earth. Seeing that Thor: Ragnarok (2017) will be playing in theatres in a few months, I think I should watch the previous film first. And here I am, reviewing about an old film, Thor: The Dark World. The reason why I only review the second film but not the first is because I don’t really like Thor (2011). So for now, I will just go straight to the second film. I am not a fan of Thor, you know. Even if he is being played by the handsome Chris Hemsworth, I am just not a fan. It’s not like I hate Chris Hemsworth or some sort. I am just not a fan of him. Plus, I am not fond of Thor despite being almighty. I prefer Loki, who of course, is being played by my favourite actor, Tom Hiddleston. Well, Tom Hiddleston is not the only reason why I love Loki more than his brother but let’s talk about it later in this review. For now, let’s start with talking about the film first. Thor: The Dark World is pretty set after The Avenger (2012). For those who didn’t see the film, they kind of wondering what is it about New York that everyone’s been talking about, just like in Iron Man 3 (2013). However, even though you haven’t watched The Avenger, I still think you can keep up with this film anyway. The story pretty much can stand-alone because it has its own conflict outside The Avenger story. Still, you will find there are a bit and bobs of The Avenger story in the film and in case you’re wondering, I suggest you see The Avenger. Although I am not a fan of Thor films, I still think that the sequel, means this film, is better than the first film. Thor: The Dark World is funnier yet still has a more complicated story. In summary, it is better than the previous film. So now, let’s talk about the cast first. Thor Odinson is portrayed by an Australian actor, Chris Hemsworth. By this time, I no longer can imagine anyone can play Thor other than him. Hemsworth is already stuck to Thor figure. I have said in my previous review of Spider-Man: Homecoming (2017) that it’s time for a new era of superheroes. But seeing that Thor is supposed to be immortal, we can all rest assure that Hemsworth would be playing the character for a long time either, just like Hugh Jackman as Wolverine. Well, until the actor himself decided to quit or the writers decided to kill the character. Like Hugh Jackman who decided to quit and that Logan (2017) is his last performance as Wolverine. Anyway, let’s get back to Chris Hemsworth. 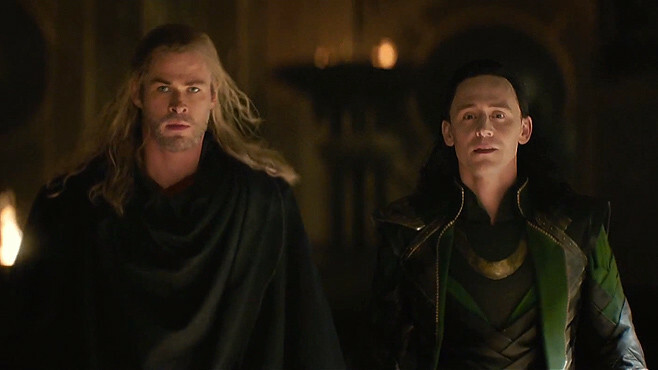 Loki: Now they’re following us. Now they’re firing at us. Thor: Yeah, thank you for the commentary, Loki, it’s not at all distracting! Loki: Well done. You just decapitated your grandfather. Chris Hemsworth’s figure already says it all. He really is suited for the role. Not to mention his acting is also very good that he really embodied the character of Thor very much. Of course, just the physical look won’t be enough because everything comes back to the acting himself. If he’s not good then he won’t pull off the character. Chris Hemsworth looks great in portraying Thor. Either when he’s doing his lines or when he’s fighting or the way he brought himself, Hemsworth nailed it all. That being said, I actually don’t really like Thor. Although he is the hero of the film and the story, I don’t really like his character. He might be funny sometimes and very loyal to his friends and at first seemed to have a lot of fun, arrogant, and a bit dissident, but he can also be really stiff, unlike his brother. He became even stiffer and serious now, making me not quite fond of him. I like him as a hero, but I don’t particularly like his serious character. I think what I like about Thor is his Mjölnir, his magical hammer. It’s more fun to see the hammer in Thor: The Dark World than before because we can see more of it. Not that I’m saying I like to see just the hammer but more of the connection between Thor and the Mjölnir. Now, let’s talk about Thor’s brother. Or perhaps step-brother? Loki Laufeyson is portrayed by Tom Hiddleston. As you may have known, Tom Hiddleston is one of my favourite actors. I’ve mentioned it when I reviewed Kong: Skull Island (2017) and Crimson Peak (2016), how I really adore him. I think Tom Hiddleston is even on top of the list of my favourite actors. Tom Hiddleston may audition as Thor first but I think the character Loki suited him more. Loki is really made for Tom Hiddleston. The actings, the gesture, the mimics, the jokes, the sarcasm, the evil act, the fightings, all of the acts were done perfectly by Tom Hiddleston. Like Chris Hemsworth, I can’t imagine anyone else plays the role of Loki because that role really has stuck with Tom Hiddleston. He’s the perfect actor to play the character. Loki: Look, why don’t you let me take over? I’m clearly the better pilot. Thor: Is that right? Well, out of the two of us, which one who can actually fly? Despite being the villain—or sort of a villain, Tom Hiddleston has managed to make the character of Loki loveable. Perhaps it’s because of his good look. But then again, I don’t really think it’s the only reason. Loki is a fun character and rather than a pure villain, he kind of being misunderstood. That’s why he did what he did. I am sure he’s not purely evil. I know in Norse mythology, Loki is the god of trickery but in Thor films, he is more than just a trickster god. He’s being misunderstood by his family and all around him, that’s why he did such things. He just hates Odin because he has lied to him and seemed to prefer Thor from the beginning, even though Loki is the one who is more obedient and Thor is more stubborn and more dissident. That’s why he sought vengeance. Not all of Loki’s acts are evil. In proof, he truly loves his mother. Surely, someone who is able to love his mother, especially stepmother, is a purely bad person. Despite what everyone is thinking, there’s part of Loki that is good. 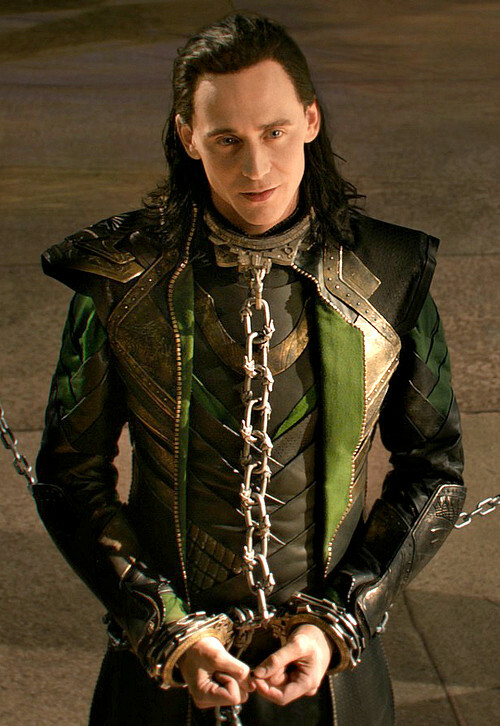 Loki is a bit evil and cunning but he is quick-witted and funny. Tom Hiddleston really embodied the character of Loki perfectly. His gesture, his mimics, his acting, even his fighting skills are all good. I really can’t imagine other actors playing the character of Loki other than Tom Hiddleston himself. He’s just too good. Tom Hiddleston has once again played everyone’s favourite trickster with a smart mix of humour, charm, menace, and ambiguity. 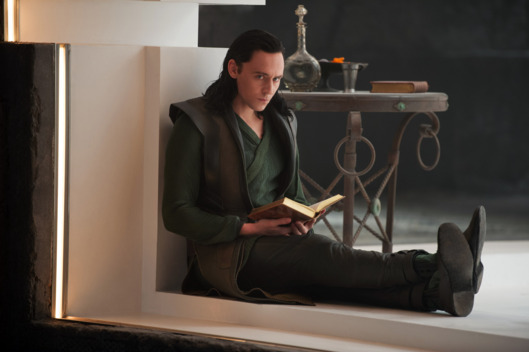 Plus, Loki’s scenes are often the most interesting, entertaining, and even most emotional in the film. That’s why watching Loki is more exciting. At least to me. I guess I’ve said about it many times already. So, how about we move onto another cast? Natalie Portman, the Oscar-winning actress played the character of Doctor Jane Foster, Thor’s love interest. She’s supposed to be the world’s leading astrophysicists and considered to be given a Nobel Prize for her work. But somehow, I don’t really see it that way. I mean, yes she looks clever with all the theories and knowledge she has known but I don’t see it as ‘the world’s leading’. Nonetheless, I think as an Oscar-winning actress, we can rest assure that Natalie Portman would always do a great job. Natalie Portman portrayed the character of Jane Foster perfectly, though whether or not the character stuck with her, I cannot say. Unlike Thor and Loki whom I cannot imagine other actors played those character, I think I can imagine other actress played Jane Foster. But who, I cannot say either. Nevertheless, in the meantime, Natalie Portman is still the right actress to play the character of Jane Foster. Her acting, her facial expressions, even her knowledge as astrophysicists are spot on. Natalie Portman has surely embodied the character of a beautiful and smart doctor really great after all. Superheroes films have gone way more than superheroes films in the past. Not just the CGI effect but in terms of the actors and actresses as well. Before, great and legendary actors and actresses seemed not so keen on playing in a superhero film. But now, not so much. They seemed not hesitate to play in a superhero film anymore. In Thor, we have Anthony Hopkins who played the character of Odin Borson, the King of Asgard. Anthony Hopkins has acted for 50 years and he is still going strong. Even recently he played in Transformers: The Last Knight (2017). It’s not a film based on comic books but it is a film based on a toy line. Surely, it’s exclusive enough for the franchise to have such great actor as Anthony Hopkins. Without a doubt, a great actor such as him can play any character flawlessly. Anthony Hopkins has the charisma that makes him perfect playing the character of the King of Nine Realms. I don’t think I have to say much about him because I am sure you all agree with me that he played his part perfectly. Of course, there’s also Christopher Eccleston who played the character of Malekeith, the dark elf and the main villain of Thor: The Dark World. I don’t know much about him and I don’t even know his real face before the film. The makeup and CGI effect added to his face is perfect that you won’t be able to recognise the real actor. Although Eccleston portrayed the character really well, the development of Malekeith is a bit lacking. At least that’s how I felt. I mean, his looks is kind of scary but what he could do is another matter. Somehow, I just don’t get his evilness. Loki played a better villain, I must say. Not that because of Tom Hiddleston, but Loki is more unpredictable, making him more exciting and more anticipated by the audiences. Malekeith is more of a classic villain whom we all know how he would end. So it’s kind of boring in that part. However, how they packed the ending is what we should see and yet again, nothing really special, I must say. Despite the interesting fighting scene between Malekeith and Thor, there’s nothing more interesting about Malekeith. I even think it’s more tense to see Dark Elf Algrim than Malekeith. Loki: You’ll kill me? Evidently there will be a line. As for the other cast, they did make the film more interesting and even funnier. Like Thor’s friends for example. Although the main reason they were funny because of Loki, still they added more fun anyway. Though they weren’t given many scenes this time, they still were able to entertain anyway. Each of the actors and actresses played their part really well. Even Rene Russo who played Frigga, Thor’s and Loki’s mother, also must be praised. With her not so young age anymore, she’s looking great and even did a little bit of fighting skill. I think I like Frigga’s character more than Odin and I think that’s also the reason why Loki loves her. Her character is more loveable anyway. Darcy Lewis who was portrayed by Kat Dennings also has her moment too. She added some fun to the film. It’s not much, but at least she’s still entertaining and has given a little bit of laugh in moments of tension. Thor: She wouldn’t want us to fight. Loki: Well, she wouldn’t exactly be shocked. Now, let’s get on with the story. Surely, like I’ve said already, I like the story of Thor: The Dark World. Although some said that there’s so much going on in this film, I think it is still better than the previous film. I think the conflict in the film is more complicated and that’s what made the film more interesting and not as boring as the first film. The relationship between Thor and Loki is more interesting to see now. It’s not all about the glory of the mighty Thor but there’s more to the story. Now, Thor is more commanding, more serious and always tried to protect the people he loves most. He didn’t care about his glory anymore. So yeah, you can say he’s more mature now. Loki, on the other hand, is still wit and fun. But that’s what everybody loves about him anyway. I like how they make the climax story more intense than the predecessor film. The fighting scene is more complicated and more interesting. The CGI effect looks perfect and huge. With the big ships and all the fighting scenes, Marvel still managed to entertain the audience anyway. The lines are better, even funnier indeed. The whole of the story is not just funny and entertaining but also exciting and intriguing. Although some scenes are a bit lacking in some ways, still I enjoyed watching Thor: The Dark World. Loki: You lied to me. I’m impressed. Thor: I’m glad you’re pleased. Overall, it’s a fun 112 minutes film, though I can’t say the film is spectacular. From what I’ve heard, the film has gained mixed reviews. Some love it, some don’t, some even hate it. I, myself, like the film. I don’t love it, but I like it better than the first film anyway. There are still a few things that I found lacking in this film. Regardless, I can’t wait to see more of Thor and Loki in the next Marvel films and of course, I can’t wait for the upcoming Thor: Ragnarok in November. To me, Thor: The Dark World is pretty entertaining. I didn’t end up sleeping when I watched the film, unlike when I first watched the first film, Thor. So, Thor: The Dark World has proven to me that it’s not as boring as the predecessor film. As I said many times now, the film is enjoyable and worth to watch after all. I give Thor: The Dark World 8 out of 10 stars.